Just one of many sights you may see on the Kiev Photowalk, part of the Worldwide Photowalk on October 5th 2013. Join the walk here... Kiev Photowalk signup. The House of Chimeras derives its popular name from the ornate decorations depicting exotic animals and hunting scenes. The name does not refer to the chimaera of mythology, but to an architectural style known as chimaera decoration in which animal figures are applied as decorative elements to a building. 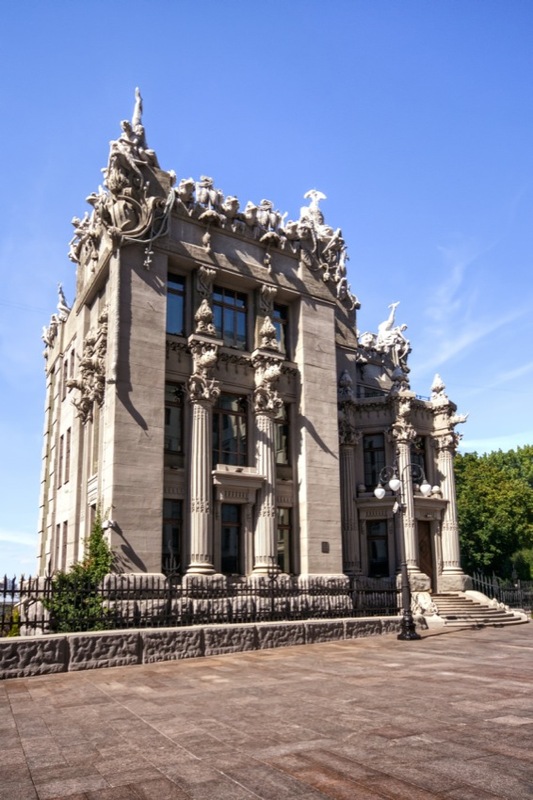 Architect Vladislav Gorodetsky's unique architectural style earned him praise as the Antoni Gaudí of Kiev.